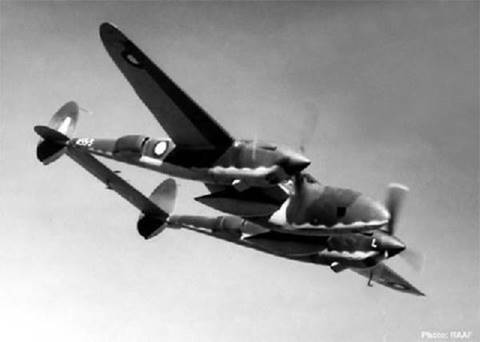 P-38 In Flight With Typical Wartime Paint Scheme of Olive Drab – – – But Reconnaissance Version Had Unique Blue Hue. 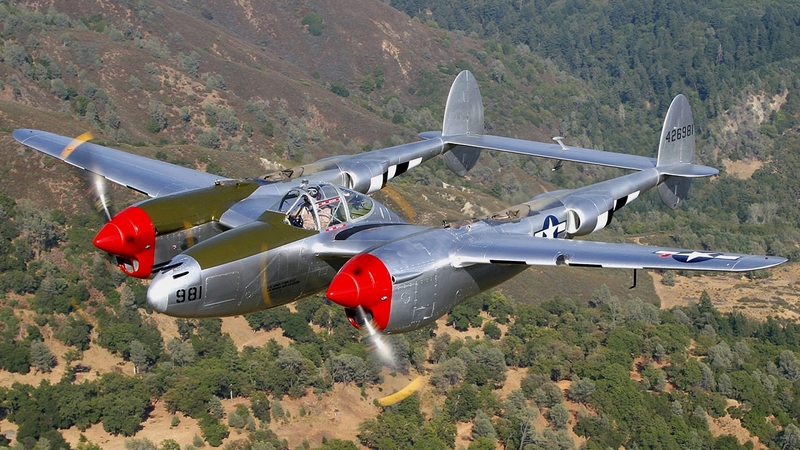 17 Things You Probably Didn’t Know About the P-38 Lightning. 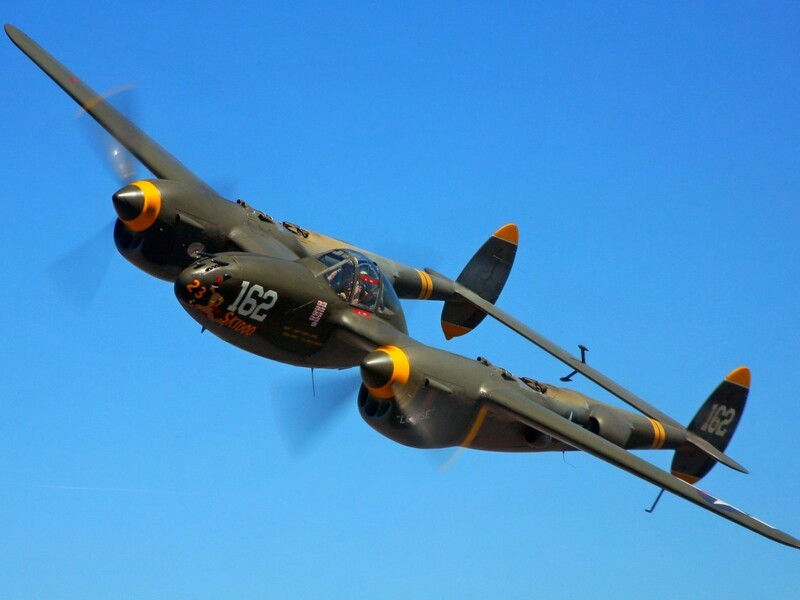 1) The P-38 was the first fighter to fly faster than 400 mph. 2) It was the only American fighter aircraft in production throughout the entire American involvement in WWII. 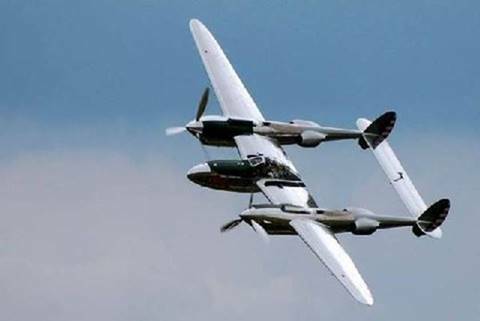 3) The P-38 was nicknamed the ‘fork-tailed devil’ by the German Luftwaffe, and ‘two planes, one pilot’ by Japanese fighter pilots. 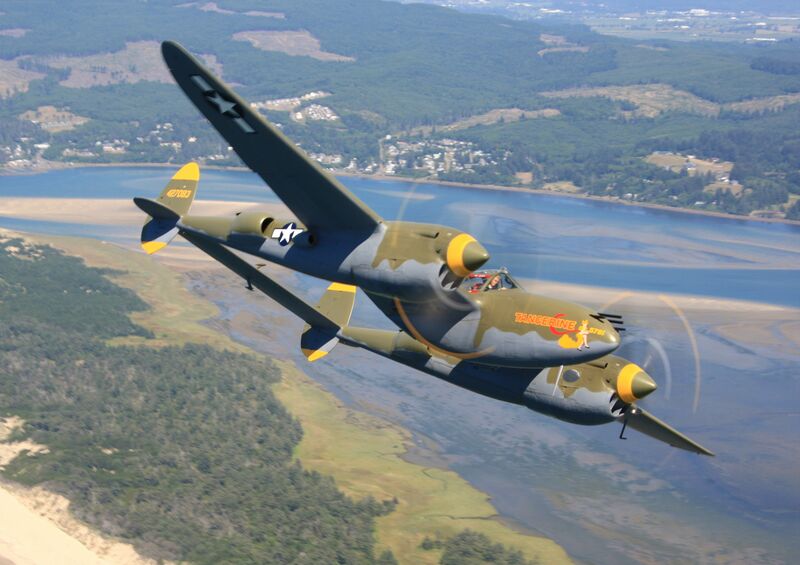 4) The P-38 was exceptionally quiet for a fighter, due to its exhaust being muffled by turbo-superchargers. 5) The aircraft used nose-mounted guns, unlike most other US fighters. 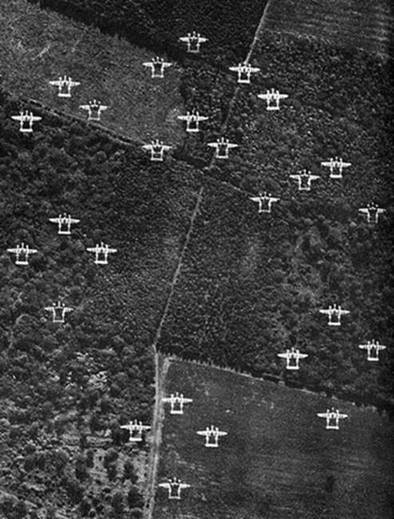 This meant that the P-38 had better useful gun range than other aircraft with wing-mounted guns having crisscross trajectories. 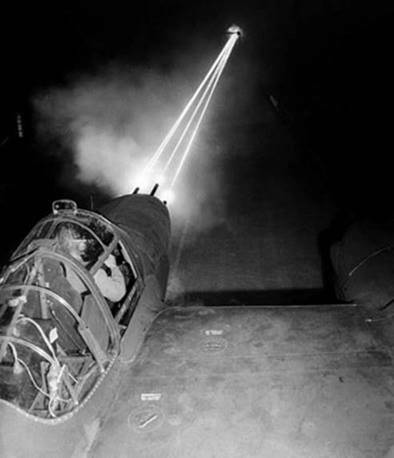 6) The P-38s guns were so effective, they could reliably hit targets at up to 1,000 yards. Most other fighters were only effective at 100-250 yards. 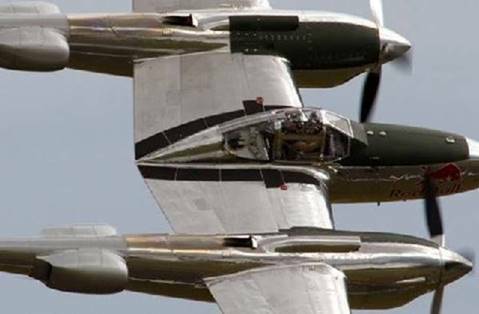 7) The P-38 had counter-rotating engines to overcome left-turning tendencies caused by its 1,000-hp engines. 8) The engine rotation could be reversed by simply changing the firing order of the spark plugs. 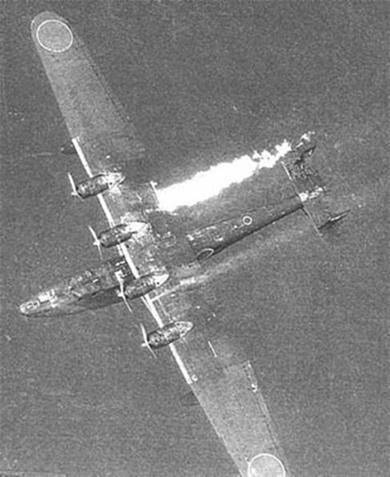 9) The engines rotated outward from the cockpit. This made the platform more stable for shooting the guns. 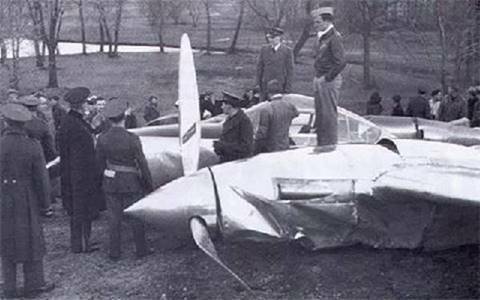 However, if the pilot lost an engine, the remaining operating engine was so powerful that it could uncontrollably roll the aircraft upside down. 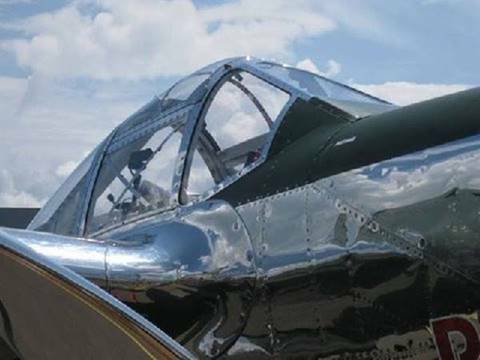 10) The P-38 was the first American fighter to extensively use stainless steel and flush-mounted rivets. 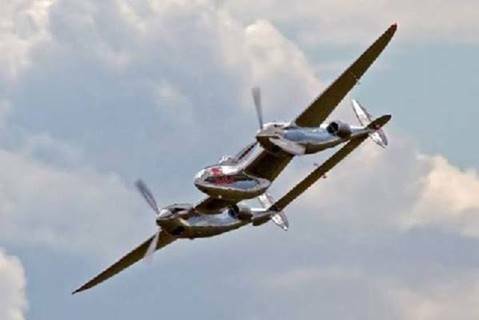 11) In 1939, one of the first P-38 prototype aircraft set a speed record from California to New York in 7 hours and 2 minutes. However, it crashed short of its intended airport due to carburetor icing. 12) The first active service P-38s were used as reconnaissance aircraft in April 1942 by the RAAF (Australia) 8th Photographic Squadron. 13) The P-38 quickly saw battle, downing two Japanese flying boats in August 1942 off the Aleutian Islands chain. 14) The cockpit windows couldn’t be opened in flight, because they caused buffeting on the tailplane. This made the cockpit very hot in the Pacific theater. Pilots often flew in just shorts, tennis shoes and a parachute. 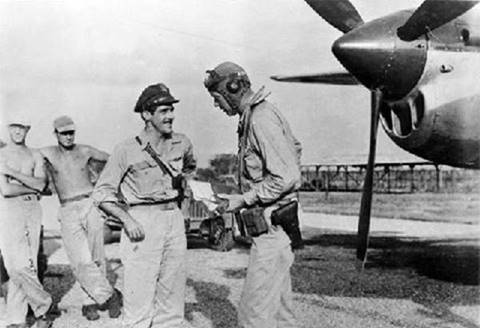 15) Charles Lindbergh (at right above in flight gear with side-arm on belt) was a key figure in improving the performance of the P-38. 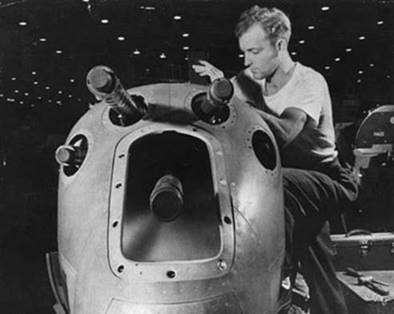 Working as a civilian contractor in the South Pacific, he developed throttle settings and engine leaning techniques that significantly increased the range of the aircraft. 16) The P-38 flew over 130,000 sorties in the European theater, and downed over 1,800 Japanese aircraft in the Pacific theater. 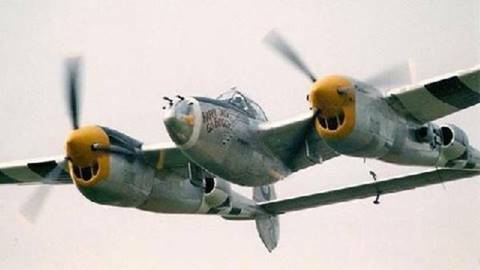 17) In total, over 10,000 P-38s were produced during the war, making it one of the most successful fighters and interceptors of its time. 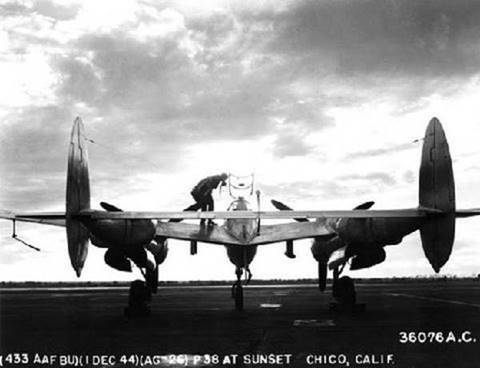 Thanks, Jim, for the otherwise obscure factoids on the amazing Lockheed P-38 trail blazing fighter. But for those of you who might enjoy some excellent additional information on this famous WWII fighter, here are three relevant videos of varying length for your edification. Please don’t forget to turn your sound/volume up to hear these following films. The first film below, “P-38 Lightning Movie,” has a relatively low natural volume, so suggest your turn your volume control up above its normal setting, but then put it back to normal for the other two videos. 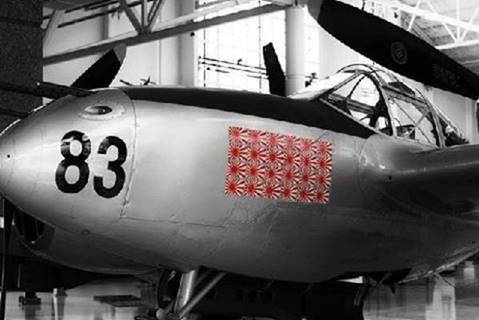 P-38 Lightning Movie – Hi Res Color Post War Film – :24 minutes long. How to Fly The Lockheed P-38 Lightning Fighter Plane – – – – -:35 long. WWII Training Film by Fighter’s Manufacturer: Lockheed Aircraft. A wartime film on flight characteristics of advanced Lockheed design of a revolutionary twin engine long range fighter plane directed at training the fighter pilots assigned to fly the aircraft. Great Planes – Lockheed P-38 Lightning – – – :54 long. Produced by the Discovery Channel. This entry was posted in AVIATION NEWS on August 26, 2016 by FASFRIC.